Carrots, Peas, Cauliflower, Brocolli are very often used by me to prepare quick variety rice. Recently beetroot got added to the above veggie family. I tried making beetroot rice few days back and it was all gone before we knew, all of us loved it. I liked the way beet imparts natural color to rice. Kids really got attracted to this rice because of its color. 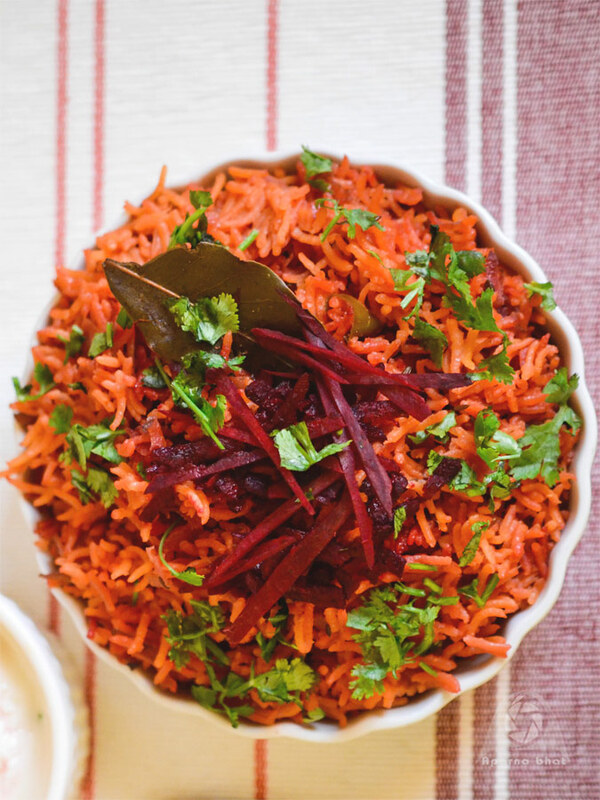 The mild sweetness from beets and the flavors from spices, sambhar powder made this colorful rice taste yummy. 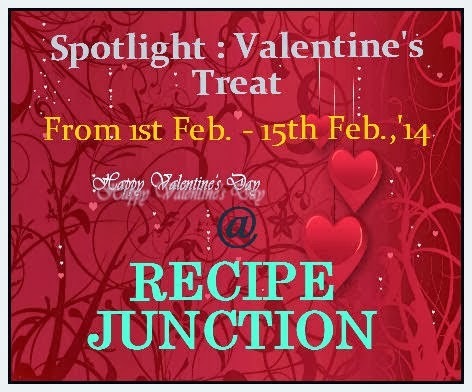 One of the easiest rice recipe, it can be a satisfactory meal for the family when paired with raita or plain curds. Do try this nutritious, colorful, delicious variety rice and hope it becomes a family favourite in your home too ! Clean, wash and soak basmati rice as per packet instructions. I soaked it for approximately 30 minutes. Drain and keep it aside. Heat the oil in a pan, add cumin seeds. As they crackle add cinnamon, clove and bayleaf. Saute on medium flame for a minute. Add finely chopped onions and chopped green chilli. Saute them on medium flame till the onions turn translucent. Next add grated beetroot, rice and saute for few seconds. Add sambhar powder, enough hot water [ I had to add 3 cups +2 tbsp of water as per the pkt instructions] and mix everything nicely. Cover the pan and cook it on medium flame. After 2-3 minutes, add salt and stir it. Cover the pan again to continue with cooking on low flame till the rice is done while stirring occasionally. 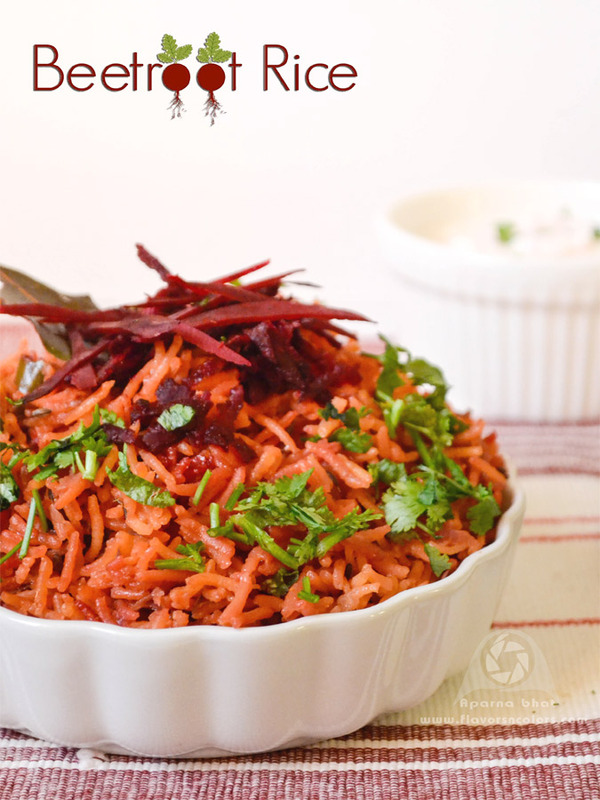 Delicious Beetroot rice is ready. Serve it warm with plain curds or raita of your choice. Note: you may add sugar while adding salt if the beets are not sweet by themselves.